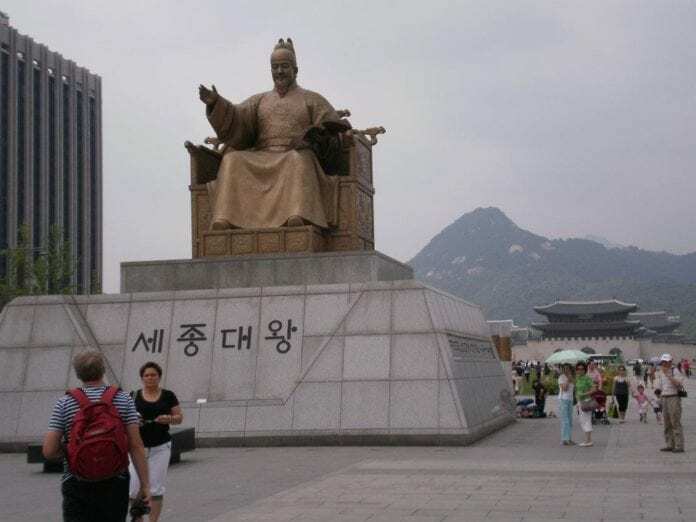 Seoul’s state-run Korea Tourism Organization (KTO) plans to investigate the potential for cross-border inter-Korean tourism, according to a document seen by NK News. In a research proposal uploaded last week with the goal of finding subcontractors to work on the project, the KTO said it will establish a general plan for “peace tourism on the Korean peninsula.” That plan, the proposal continued, will examine factors including the tourism policies of the South and North Korean governments, relevant inter-Korean summit agreements, and changes in the domestic and overseas markets. North Korea’s economic development districts and special economic zones (SEZs), scenic areas, and world heritage sites designated by the United Nations Educational, Scientific and Cultural Organization (UNESCO) should also be taken into account. As should, too, how an inflow of local and international visitors through inter-Korean tourism package might socially, culturally, and environmentally affect the developed areas. Plans for peace tourism currently remain at the planning stage, the proposal suggested, with partners asked to offer suggestions as to how the project could be pushed ahead and explore the “economic ripple effects” it might have. The ROK KTO will allocate KRW199 million (USD$175,562) to the research, scheduled to be complete by November 15 this year. Plans for cross-border tourism is a key part of the Moon administration’s “New Economic Map Initiative of the Korean Peninsula” initiative. Those plans, if implemented, would see Seoul establish three inter-Korean economic belts on the peninsula, including an environmental tourism belt in the Demilitarized Zone (DMZ). September’s Pyongyang Joint Declaration, too, saw the two Koreas agree to discuss the building of an east coast joint special tourism zone. The two Koreas last year agreed to expand cross-border tourism | Photo: Korean Culture and Information Service (KOCIS). Plans released last week will see researchers review the entire Korean peninsula, while mainly concentrating on the DMZ and the northern part of the Military Demarcation Line (MDL). The project will be carried out between 2019 and 2022 in the short-term, while the long-term plans are set to be implemented between 2023 and 2028. Researchers are being asked to prepare detailed programs organized by season and type of tour, the KTO said in the proposal. The new routes should aim to bolster South Korea’s local tourism industry, the KTO emphasized, stressing the importance of sustainability and feasibility. Plans to “manage and operate sustainable tourism” must be included in the research, along with “feasible tourism programs connecting South and North Korea” and ideas for how to promote them. Subcontractors are also being asked to come up with a development plan for each of North Korea’s regions, and suggest attractions tourists might be interested in visiting in those areas. Tourism zones will be selected in three criteria: SEZ, major city, and scenic attraction. The order of priority for development will be decided based on multiple factors, including the characteristics and scale of the projects and the effect that tourism might have on the area. Researchers are also being asked to analyze tourism demand and plan investment, financing, and project feasibility in these target areas. SHANGHAI, China - Shanghai Tourism Festival 2015 will open on September 12.